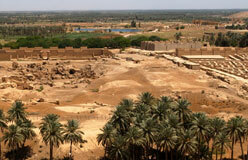 Not much is known about the historical Sumerian Gilgamesh. 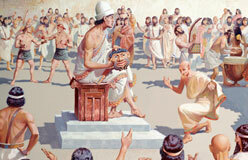 He ruled the city-state of Uruk, probably around 2600 B.C. 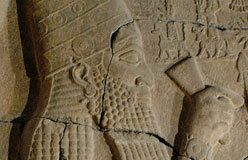 Still, he may be the most famous Mesopotamian of all. 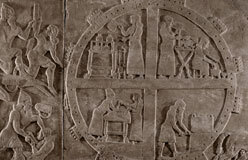 He’s the hero of stories that were first told in the markets of Mesopotamia and were later written down as one of the world’s first epics. 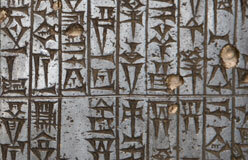 Twelve tablets that tell parts of the tale were found at Nineveh in the library of the Assyrian king Ashurbanipal. 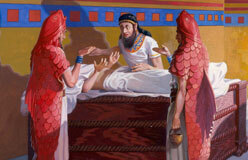 In these tales, Gilgamesh is half god and half man. He’s a great builder and warrior, but he’s not a perfect human being!